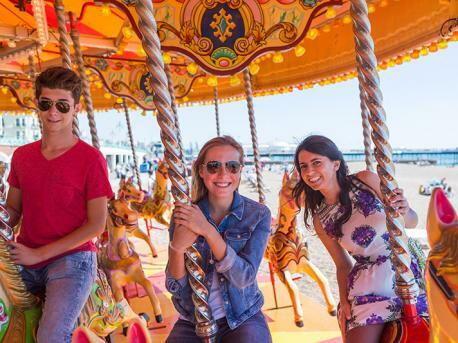 With our English courses for juniors in Brighton you will enjoy a great vacation while investing in your future. What once was a small fishing village is today the favorite meeting point for young people from all over the world. Brighton is considered the university city of the southern coast of England, as it has two renowned universities that are located there. In the same way, thanks to its beaches, its musical events and the advantage of being close to London, students from all over the world choose this destination to carry out their studies, which ensures an international environment. Choose Brighton to learn English in England, a top-notch destination with a good number of things to do after your classes. Our partner school for English courses for juniors in Brighton is the "Brighton Language College" which is located right in the city center, just a 2 minutes walk from the Royal Pavilion. The school is endorsed by the British Council, which supports the quality of the program. It also guarantees a wide mix of nationalities which strengthens the use of English to communicate with other students. You will also have modern facilities near the beach, so that after school you can enjoy the sun and good weather. No matter your level, with our English courses for juniors in Brighton you will learn to speak this language fluently. On the first day of school you will take a level evaluation through an oral and/or written test to be placed in the appropriate class. The school in Brighton organizes a course for 12-17 year olds, which includes classes, accommodation on a full board basis and a very complete package of activities. We offer English courses for juniors in Brighton all year round. If you are interested in traveling during the months of July and August, check out our intensive English courses in Brighton for juniors in summer. Alternatively, for students who prefer to travel outside these months, we can offer our intensive English courses in Brighton for juniors in winter. Are you thinking about traveling during Holy Week? Do not miss our intensive English courses in Brighton for juniors in spring. 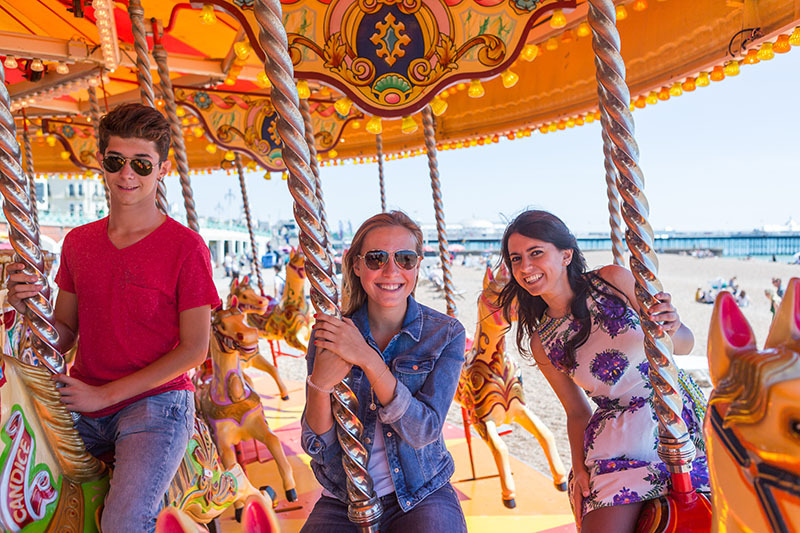 Our accommodations for English courses for juniors in Brighton guarantee a complete immersion in the English language, as you’ll be staying in carefully selected English families. It is a unique and very effective opportunity to practice the language constantly in an informal environment. During our English courses for juniors in Brighton you will never get bored. As the coastal city offers a beach and a metropolis, you can choose from a lot of options for things to do, be it volleyball, taking a walk on the beach or on the pier or visiting the historic neighborhood "Lanes", very popular among young people. The neighborhood seems like a labyrinth of narrow streets in the center of Brighton that offers plenty of shops, cafes or traditional pubs. All of this is just one hour by train from central London, so the city is also known as "London-next-to-the-sea". Check out other alternatives for English courses for juniors in England. from 13/01/2019 until03/02/2019, from 07/04/2019 until 05/05/2019, and from 09/06/2019 to 01/09/2019.